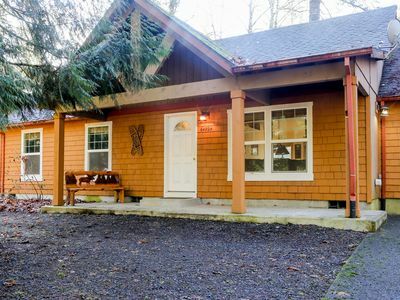 Mt Hood Log Chalet with Hot Tub, Wifi, Firepit, Bbq, Hike, Relax! 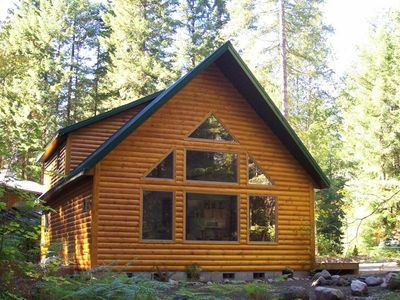 This custom built log chalet has it all from new kitchen, granite counter tops, comfy great room furniture with new 42' LG HDTV flat screen, cable, DVD, free WIFI and all new pillow top mattresses and fresh paint in all rooms. 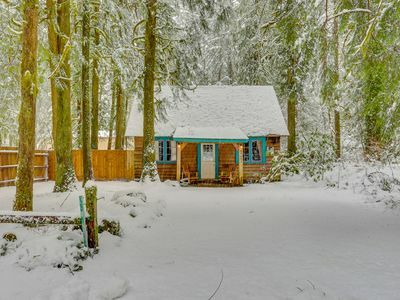 This chalet sits in a cute village on the Sandy River called Zig Zag Village, a small cabin community that is quiet and relaxing (our cabin is not private). 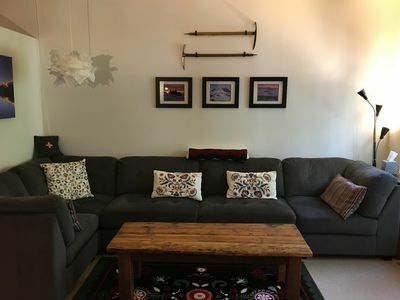 Enjoy the community hiking trails and tennis court and air conditioning. In winter within a few miles is Ski Bowl, Timberline, Meadows and Government Camp.....ski, sled, tube, sleigh rides, snowmobiles and so much more! 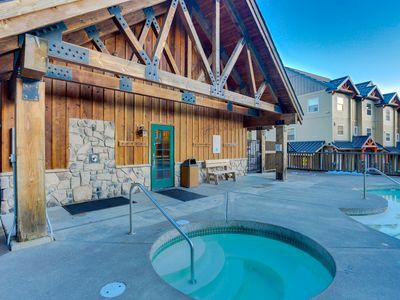 After a day of hiking, golfing, skiing, snowshoeing or sledding come home to a gorgeous hot tub, prepare a nice meal or eat out at one of many nice restaurants in the area. Read a book or watch a movie or game on our entertainment center in the greatroom with 21 foot high ceilings. You will not be disappointed with our quality beds and bedding, furniture and decor. 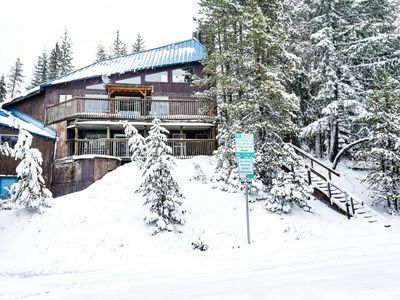 Create many memories here with your family and you will keep coming back to this pristine place on the mountain! 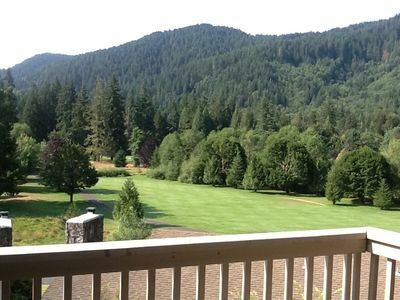 There is so much to do on Mt Hood with Timberline Lodge, Government Camp and all the summer activities at Ski Bowl including lift served Mt Biking, Alpine Slide, Bungee Jump and Zip Line! We also have a bbq and outdoor firepit with deck chairs and table for a great evening meal and smore making time. 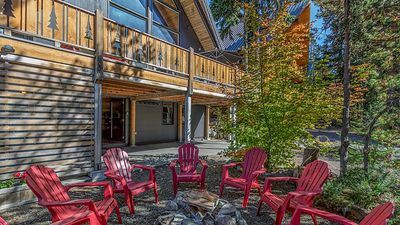 MODERN LIVING IN COLLINS LAKE. SUNNY END UNIT. CLOSE TO POOL/SPA. 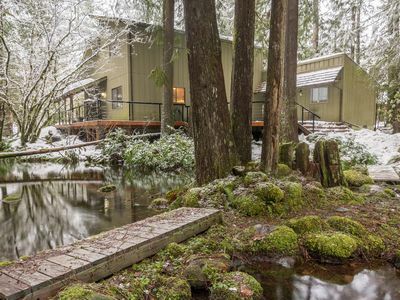 Cozy Creekside Condo in Government Camp Village. No cleaning fees. 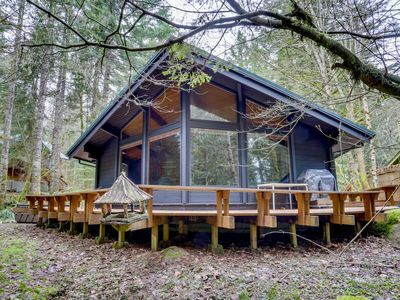 Quintessential dog-friendly cabin in the woods, within short walk of the river! 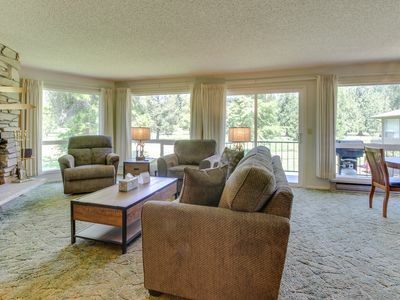 Clear Hills Condo 646- Golf Course Views-Fireplace. 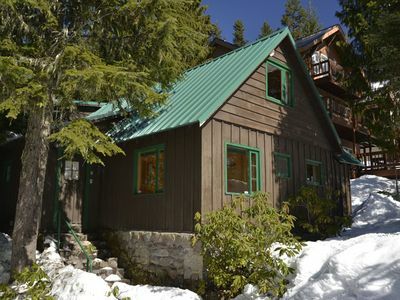 Classic waterfront A-frame w/ a full kitchen & large deck - close to skiing! 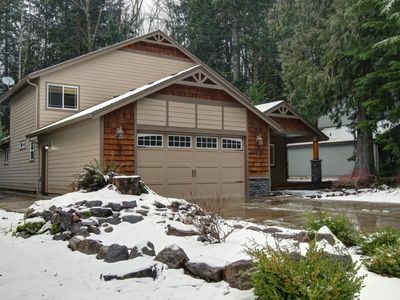 Large home w/ hot tub near golf, skiing, trails! Perfect for multi-family trips! 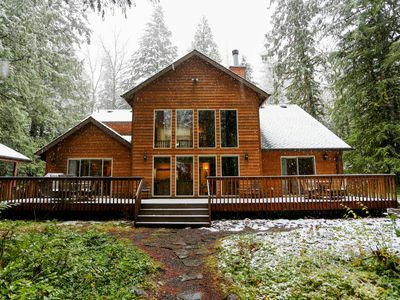 Adorable and spacious cabin in the woods - close to ski access! Heart of village! 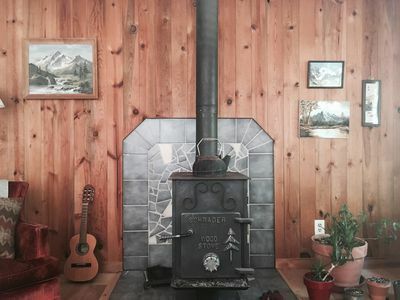 Stone fireplace, knotty pine interior, a real cabin! 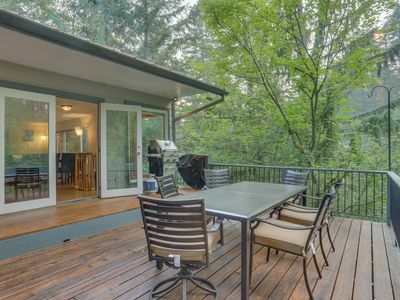 Unique and stylish home with deck, firepit & forest views! 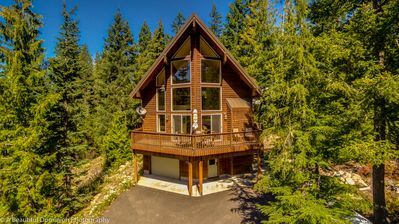 Upscale Chalet with hot tub- walk to everything- best sledding hill and WiFi! 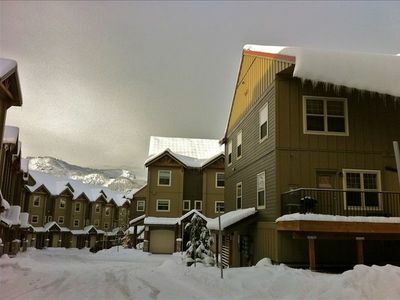 Modern ski condo near Skibowl w/ balcony & shared pool/hot tub access! 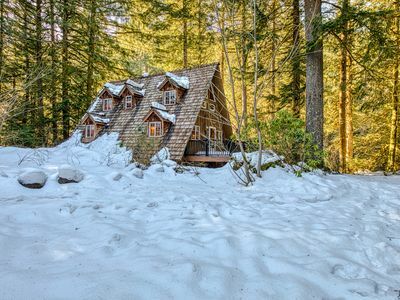 Secluded 'Minikahda Lodge' - Mins to Mt. Hood! 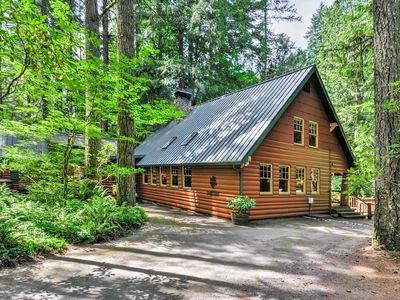 Hear the River from Cozy Mt Hood Cabin W/ Woodstove & Dogs Ok! 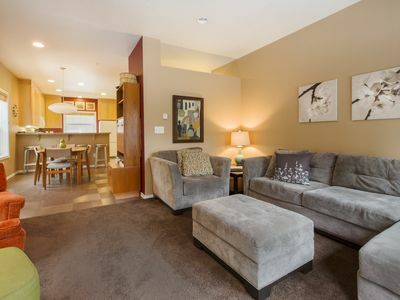 Charming, dog-friendly home w/ deck & shared pool/tennis - near skiing & hiking!